Hotel rooms on the ground floor – Simple accessible hotels in Munich are not easy to find. And yet there are many people who are afraid of stairs and lifts, or simply want to stay on the ground floor for health reasons. Due to many inquiries and the proximity to beauty clinics, hospitals and nursing facilities, we have furnished some rooms for disabled and wheelchairs. Even a guest with wheelchair or mechanical health problems should feel comfortable and safe with us! Our handicapped-accessible room is over 30sqm and includes a separate bedroom with double bed. In the entrance hall you will find a fully equipped kitchen, as well as a dining table. In the entrance hall we could also set up an extra bed for nursing staff or fellow travelers. 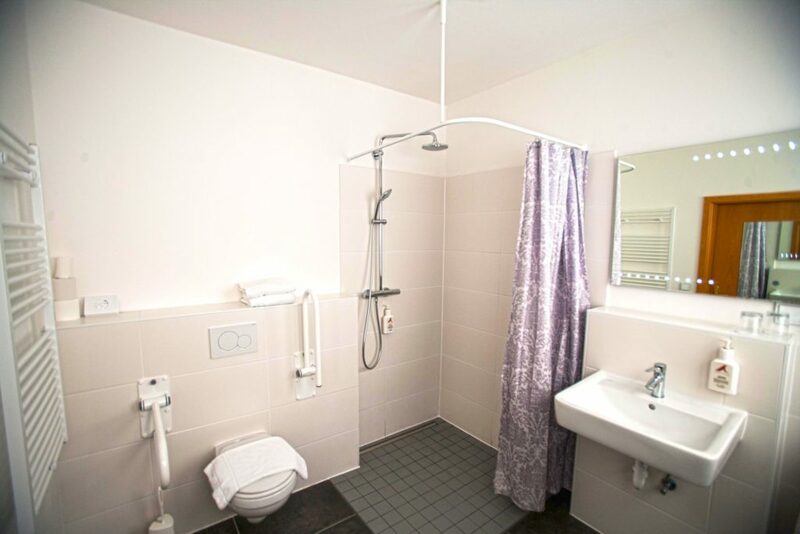 The bathroom is large and level with shower, toilet and washing table. 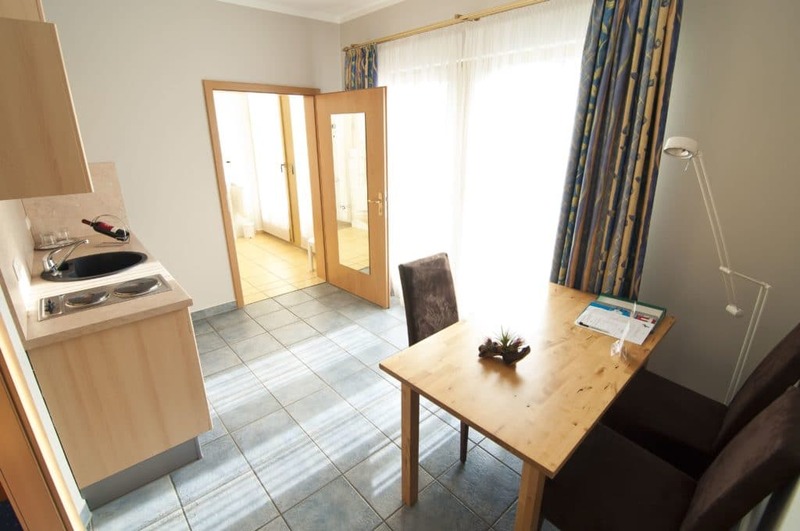 Our Hotel Amalienburg offers several ground-floor rooms, which are accessible with wheelchairs. So you can also park the car directly in front of the doorstep of the room and enter directly from outside. We would be pleased to reserve a parking lot for you if you need to unload several equipment or a wheelchair. The breakfast room is also wheelchair accessible, which allows all our guests to make use of the same breakfast selections. Dogs are also welcome in our hotel. The prices per dog can be found on our price list. Please understand that we can only accept dogs in comfort and apartment room, NOT in deluxe rooms. Also keep in mind that dogs/pets have to be signed up before booking.